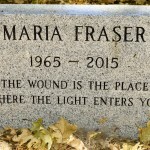 Maria Fraser, a beloved member of the Fellowship of Friends, completed her task from an as yet unknown cause, on Tuesday, March 17, 2015. Born in 1965, Maria would have turned fifty in December of this year. 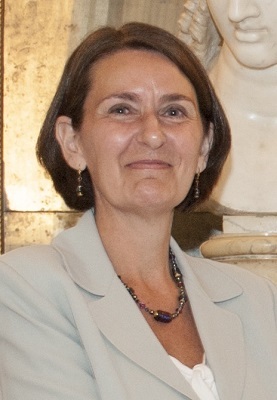 Maria joined the School in 1993 in the Paris Center. After living there for one year, she moved to Apollo in 1994. She had been a part of the Apollo Center ever since. The soul which has the clearer and longer sight sees that it is starting for better things. She once enjoyed receiving dancing lessons from a Cuban friend. He enjoyed her elegant open sweetness. Dear Maria , my heart is sad to know now , after the fact , that you went through so much isolation . Hopefully you can receive more company , wherever you are now . May your departure make us more human, loving and compassionate towards ourselves and one another . I have the sweetest , most refined memories of you . Good luck on your further journey ! Maria was a scholar and a book lover – traits common among introspective people. She noticed, one day, that I was nearing the final chapter of a book by a female author from England. She remarked that this author, although highly regarded, was not as good as another English author on the same subject. The next time she saw me, she gave me this man’s book which she must have been carrying around for several weeks – The Crusades: the authoritative history of the war for the holy land. It was a generous and thoughtful gift from someone who knew much more about the subject than myself. Dear Maria, Friends, the service portrayed Maria. Thank you so much to everyone. We are all transforming this step. I’d like to evoke a children’s tale, I once heard about a girl who found a fallen star in her garden. She picked it up, worshiped it so much to the point to hide it under her pillow. The star was getting colder and broke. With some sadness she tied it to a helium ballon and allowed it to go back to the sky. Sweet and refined, I never heard an unkind word from her in all the years that we lived in the same teaching house in Apollo.So little we know each other. She, so fragile and hermit like, not revealing her innermost troubles, and not wishing help, coming out of the room finally after illness with a smile. Goodnight dear Maria. Thank you for the many moments we shared when we both worked for RVW, and a few sometime thereafter. When we talked, you were always positive and energetic, and you often ended our conversations with a pure and sweet smile. And a hug. Thank you. I treasure the nice moments we shared together and remember your smile which made your eyes spark with pure light. You were a beautiful and sensitive soul that sometimes found this world to hard to bear. I hope you are finally at peace and in a better place wherever that may be. When I think of you, I think of the warm, friendly glow around you. In spite of your struggles, you were always invitingly sweet and open. I imagine you in a place with more of that goodness and that you feel at home and at peace. I will miss you in this world. Your smile, wisdom and kindness brought me joy. I’m so grateful for our moments shared. It’s a comfort sensing your burdens shed, and your journey filled with new light. Rest in Peace dear Maria! Good bye dear friend, now you are free from pain and can fly to the stars. Your gentle energy remains, I will remember you with love. Farewell Maria. You are missed and you are loved. 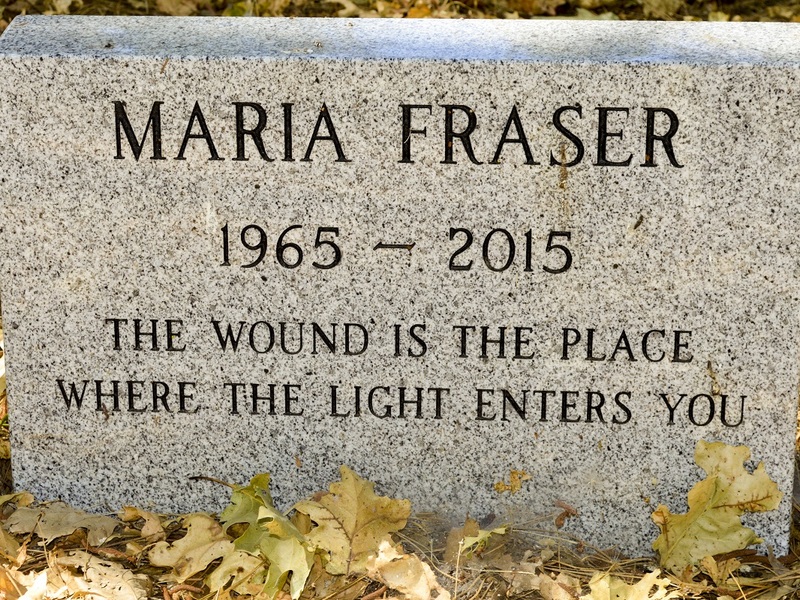 Maria Fraser’s death really touched me deeply. She was an unknown soldier quietly in the background at Apollo for over 20 years. I knew her as a peer student during the 14 years that I lived at Apollo; we were both technical writers, both single women, both with a bent toward creativity and a history of chronic depression in our lives. Still she often had a good sense of humor and a light spirit – I don’t know her background but she seemed Irish or Scottish in that way. The suddenness of her death at an early age created a puzzling shock. A little like Ron Payton’s, but in a softer way. Mary had her part to play in the mosaic of the Fellowship and will be remembered by me. I remember Maria as gentle and attentive. Understated and reserved, like the wind on a calm day at the very tops of the trees. I will continue to listen for her in the wind as a way to bring me back into the moment, and I will miss her.